Forums General Discussion Discussion - Chen becomes "Anchored"
Discussion - Chen becomes "Anchored"
2. Doubling down on the his ability to soak damage while he is sitting still. The first option would likely see a reduction of his trait’s use and fundamentally change his rhythm of kicking around a fight, starting fires, and then drinking for the time it takes his kick to come off cooldown. 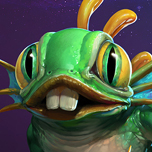 While this may sound appealing, it would strip away the most unique part of his kit in favor of pushing him into the same role as Illidan and makes both heroes less unique in their approach to fights. The second option keeps the most unique piece of his kit and keeps the rhythm that Chen players are used to. It also brings back what we see as the quintessential Chen. Zim and I played Chen and Li Li together since late alpha, Chen’s base kit has worked for him throughout that entire period. This was evidenced in Chen’s hotslogs win rate being 50% on the dot for weeks on end. 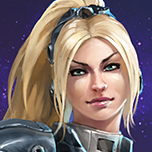 Whenever a new hero was added we would look at its kit see if our combo would be hurt by it. Li Li would shut down any heroes reliant on auto attacks and Chen would soak any skill shots aimed my way. Many a sad Muradin would throw a hammer to interrupt my Jug of a Thousand Cups only to make Chen choke on his beer while the whole team healed. This worked great in the beginning when only a few characters had hard CCs and there were almost no displacements so he could be my shield even if he was vulnerable from time to time. As more displacements made it into the game Chen became a squishier target more often and trying to keep him between me and the enemy became nigh impossible. This is the Chen we are trying to bring back with “Anchored”, a Chen who becomes the point his team moves around to hide from enemy shots. He becomes anchored for his team stopping hooks, orbs, and sand blasts from poking them off objectives. He won’t be a main tank, but he can still provide a service for his team, and “Anchored” won’t cover his old weaknesses. Because those guys are not moving anywhere. I was referring to Unstoppable on any character not just Chen because I was comparing the impact of Unstoppable and Anchored on the game if Anchored was given to more Characters than Chen. When I say giving Chen Unstoppable has no counterplay I mean that if you give Chen Unstoppable while he is drinking there is no way to interact with him to mitigate his survivability beyond dumping damage on him. You can run from Leoric’s grasp, You can dodge Diablo’s fire, Blaze has to stay in his fire, and Stitches can be kited or killed during the cooldown of his heal. 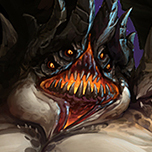 I use these examples because they are bulky tanks who survive through the size of their health pools and not their mobility like Anub’arak and Tyrael. If Chen starts drinking in the middle of a team fight you can try and ignore him anyways, Unstoppable wouldn’t change that and neither would Anchored. However Unstoppable means the enemy team can’t do anything about him drinking, with Anchored they still have some options. fantastic idea, i've been advocating for an unstoppable effect during drinking for awhile, still haven't heard any good logic why it wouldn't work. currently i don't play hots because, well, i really only play chen haha. this would bring me back. Unstoppable makes the shields more consistent, but reducing the shields reduces his survivability in more situations, and that would harm his off-tanking ability. People ignore Chen right now. Giving him Unstoppable is just more reason to ignore him. The only thing you could do is sink damage into him. That is not interesting gameplay. “Anchored” at least has counterplay, and skilled players can force Chen out of “Anchored”. This means Chen wouldn’t have to give up shields and general survivability. In my opinion, an easier fix would be to allow Chen to move slowly while drinking. Having it move means it won't be interrupted by soft knockback and daze effects, and even as slow as 10% movespeed would still be enough for Chen to potentially drunkenly stagger out of the way of some skillshots. His current kit causes and enables him to be in the way of enemy skillshots without being as heavily punished as other tanks; that’s what the shields allow him to do. Giving him movement speed while drinking is not going to fix the biggest problems he has and adding movespeed of any amount while drinking doesn’t help him fill a role. It encourages him not use his kit to tank for his team. I disagree with you here. 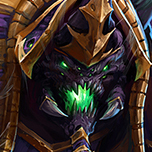 Allowing him to move while drinking would make him fill a role, of anti-skillshot (somewhat simillar to Anub'arak). You would be able to walk in front of allies to block skillshots, or to bodyblock while chasing someone (again, simillar to Anub'arak). 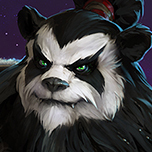 This while also allowing him to reposition himself to avoid stuns, the displacements would not cancel his drink (unless it is tied with stun, like Stitches Hook) and would still allow counterplay to him, because this is a problem with Chen, buff him too much (like you are proposing) and he Will be OP, he is one of those cases that even the slighest changes can drastically buff or nerf him (together with Illidan).